Remember Light? That is the company with the L16 camera that comes with 16 individual lenses. Last summer, we showed you a smartphone prototype Light was working on that featured 9 lenses on back. And here you thought that the Nokia 9 PureView and its penta-camera system were over doing things. The company announced today that it is partnering up with Sony to improve the multi-camera setups found on some of today's phones. Light and Sony will work together to develop and market "multi-image sensor solutions." 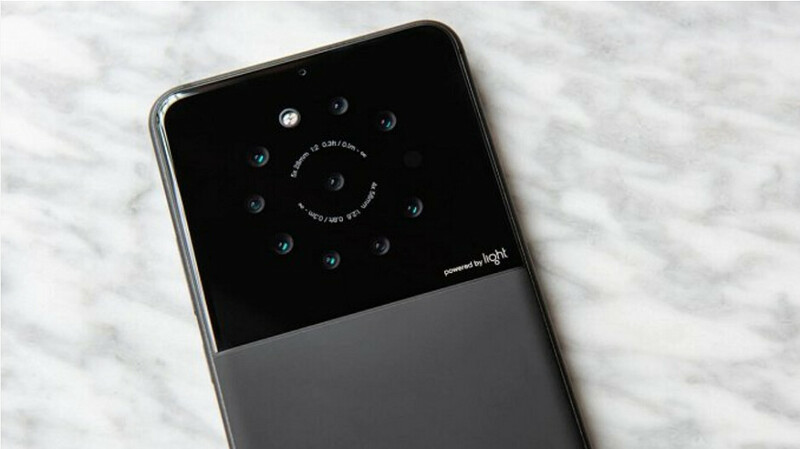 These will be aimed at smartphones that carry four or more cameras, and will combine Light’s multi-camera technology and Sony’s image sensors. Samsung has already released a phone with a quad camera setup, the Galaxy A9, and there is the aforementioned Nokia 9 PureView. As we move into 2020, we could see quad and penta-camera setups become more widespread on new handsets. According to Light, 85% of the images photographed today come from smartphones, and the company says that it is "thrilled" to be bringing its innovative and higher quality computational photography platform to the smartphone industry. The company says that it has the only mobile chipset that can cover as many as six cameras at one time. The bottom line is that a combination between Light and Sony could improve the quality of photos and videos shot by smartphone users. Honestly if Sony photography heritage, skills, experience in image industry, that includes they own superb hardaware can't elevate Sony smartphone camera to the Top 1 I don't honestly know what and how can elevate Sony smartphone imagery. Samsung fanboys are not happy reading the news. That mean camera photography will go down in future bcoz of advancement in mobile photography??! No, because photographers wants to control the light on the scene, use manual modes and set the exposure by themselves. A phone will do everything for you but you loos control and can't decide the final look in the same way or quality. Even Sony is the leading camera sensor manufacturer, the can’t be on top on smartphone in terms of camera. It will kill their mirrorless and point and shoot division which is they are on number 1 spot in terms of sales. In smartphone, there’s a lot of competition. Apple, Samsung, LG, Huawei, Google. What happened to the relationship between Light and Nokia? And if Sony actually wants to improve the camera quality on a phone, they should rely on their own camera department instead. This will be fascinating. Glad to see this being implemented in a plethora of smartphones in our near future.